Have something you want to say? 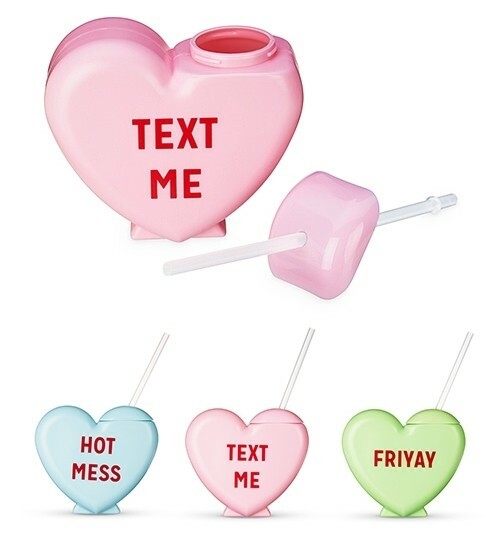 Have a heart-to-heart, and say it with your drinkware. These playful tumblers are a great way to get the party and the conversation started; straw included. PLEASE NOTE: Sold individually (NOT as a trio). You may specify a preference for the color of the tumbler you will receive, but the selection is RANDOM and is made at the time of order processing. If you order the tumblers in a multiple of three (3), you will receive one of each color (unless you specify otherwise).